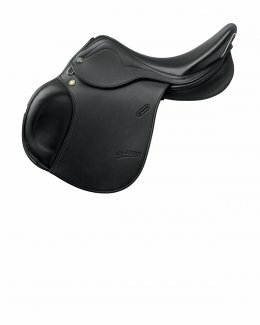 ​The saddle for young riders. Prestige accompanies the youngest riders starting out in the riding world. Riding is a passion which requires constant commitment in order to achieve harmony between horse and rider. One of the discipline's most educational aspects is how to take care of your companion. Everything begins when you first enter a box at the stables and stroke the horse to soothe them and achieve mutual trust. Children enjoy the sport as an ongoing pursuit, encouraged by their parents. Older children develop a passion for sporting performance, coupled with a desire for freedom and independence. Our junior saddles are designed to be ultra lightweight and extremely versatile. Starting from the choice of materials, we work to create a product that guarantees maximum safety for young riders. 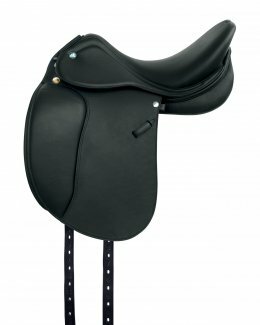 We also pay particular attention to back comfort and strive to guarantee the well-being of young riders as they grow.